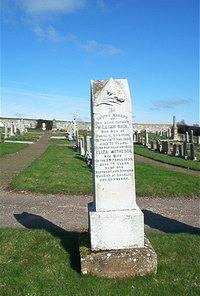 William Bain died at Smerlie Lybster 24th August 1939 aged 72. Wife Eliza Matheson died 29th April 1939 aged 70. Also our brothers and sisters who died at Smerlie and Edinburgh.